Our goal was to develop a complete rebrand overhaul that reflected not only their military roots, but the heart and mission. With design inspired by military insignia, we developed a cohesive brand that became highly recognizable and reputable. 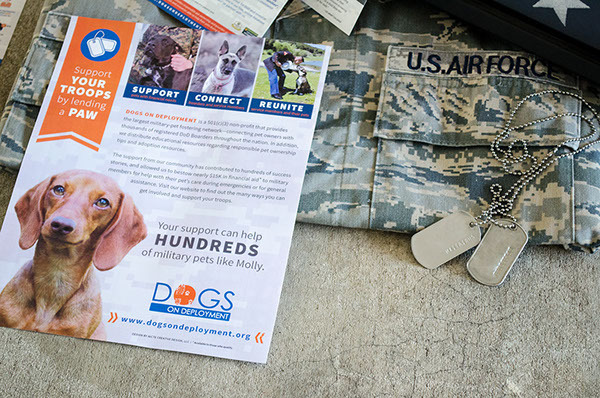 Since our rebrand, DoD has captured the attention of large national brands. 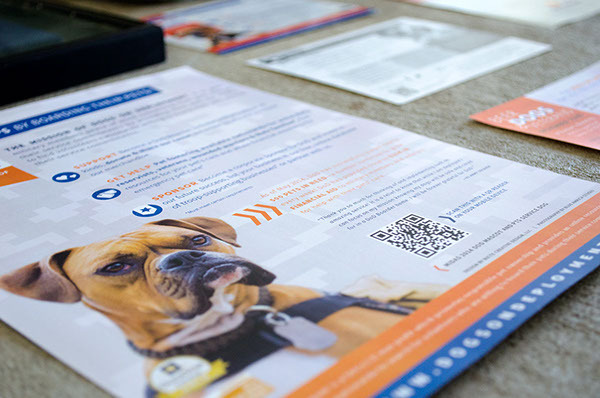 And developed powerful partnerships with organizations like Purina and Pets Best Pet Insurance, along many others. The good works of the DoD brand has resulted in hundreds of pet reunions. More importantly, its provided thousands in financial assistance! Military service commitments can sometimes leave brave men and women at a crossroad. 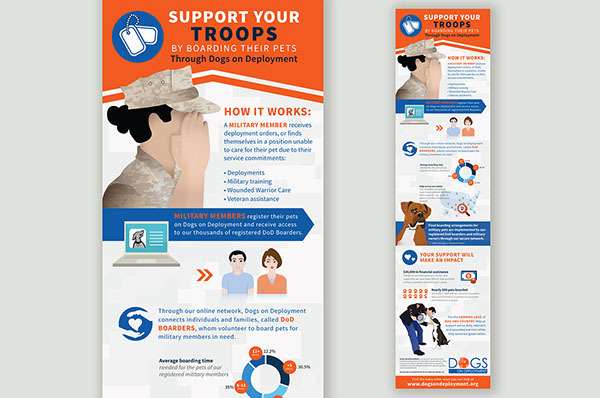 Whether a deployment, change of station or a temporary assignment, pets can be at risk of abandonment. 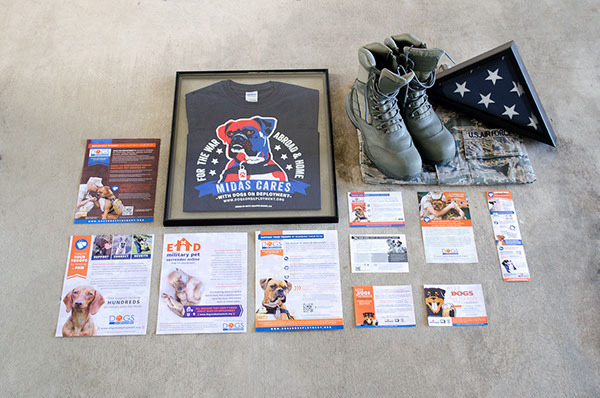 To help military members and decrease animal surrender, Dogs on Deployment (DoD) a national 501(c)(3) non-profit organization, provides an on-line network for service members to find volunteers willing to board their pets during service commitments. 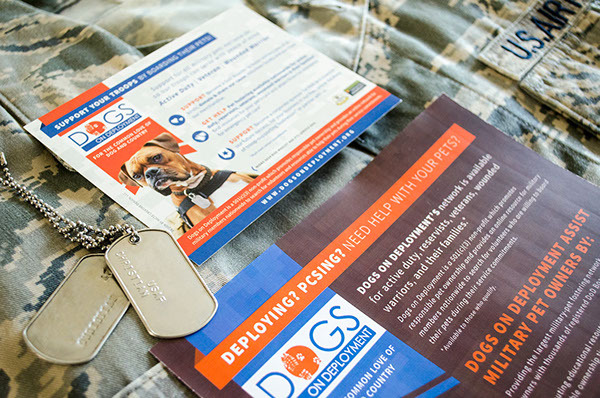 DoD’s brand has captured hearts and minds through compassionate compelling stories that give military pets a voice, and is supported with design elements inspired by military insignia. 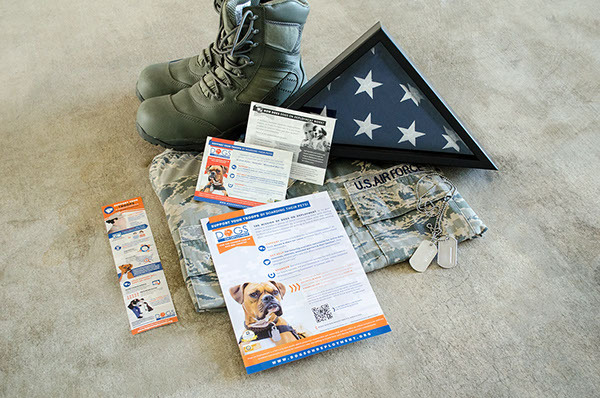 Resulting in nearly 600 pet reunions and 30K in financial assistance.